Bunkhouse Five is great for medium size groups. It sleeps 6. 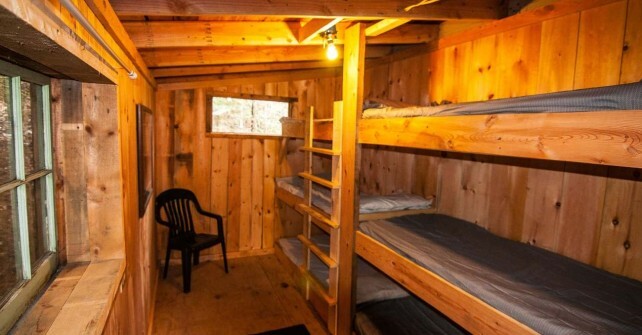 This bunkhouse uses our public restrooms and showers. See the Resort Map to see where the bunkhouse is located on the property. Nightly rate: $22 per person.